Make Jewish life relevant and meaningful so people will engage over a lifetime from a place of strength and pride. This ain’t your bubbe’s religion. Today we intentionally build our lives choosing what matters most to us. Our religious life shouldn't be different. Spiritual exploration and identity must be relevant, meaningful -- and must include choices. Nothing is the same as it was when our grandparents or even parents made sense of their own Jewish lives and traditions, and yet, many synagogues operate as if nothing has changed. They say there are multiple ways to connect to Judaism and yet they usually only offer one model, one structure. We feel an absence of deeply connected, informal experiences that respect both our shared history and our modern lives. Those lives are shaped by our own choices, based on our own unique paths and preferences—why wouldn't our Judaism be? It's time for a new model. 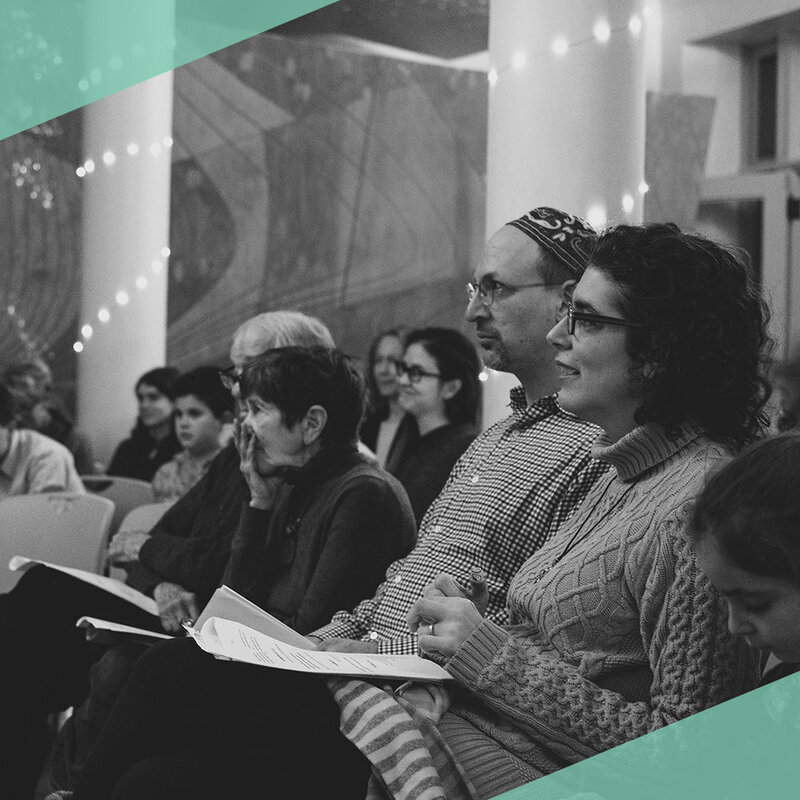 · We believe in connecting people to a modern Jewish expression of community. · We believe in supporting people along their own Jewish path according to their traditions, values, and desires. · We believe in open dialogue. · We believe in moving people beyond the four walls. · Small group learning for kids and adults – informal, hands-on, and interactive. · Community-wide gatherings around Shabbat and holidays, and more. · Opportunities to practice tikkun olam together, throughout New York and beyond. · Customized life cycle events; bris/baby naming, bar/bat mitzvah, weddings and funerals. · An exuberant schedule of Jewish experiences happening out in our city, or brought into your home. Discover More. CoNtact Us Today.